Fall in love with this modern single-story family home that is the perfect combination of luxury and warmth in the Destinations neighborhood. 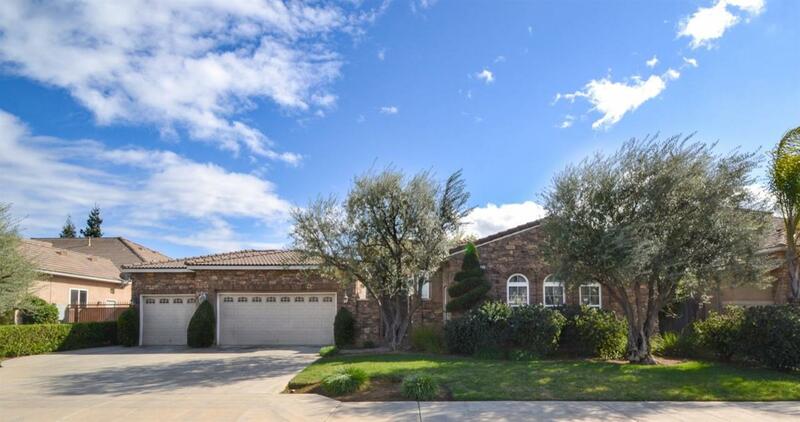 As you walk up to this home you are greeted by beautiful curb appeal and great open courtyard. You will immediately notice the high ceilings, abundance of windows, open floor plan, & stunning chandeliers and custom lighting throughout that make this home unique. The kitchen boasts granite countertops, stainless-steel appliances, eating area, and walk-in pantry with access to a relaxing patio area. Enjoy a secluded master bedroom w/ amazing closet space, as well as an immense luxurious spa like bathroom, with a deep soaker tub & separate shower. This home boasts 4 additional rooms. One has been converted into a theater room; all furniture & TV included. Relax in your spacious backyard with mature landscaping & covered patio perfect for summer BBQs. It is truly a home where memories will be made.